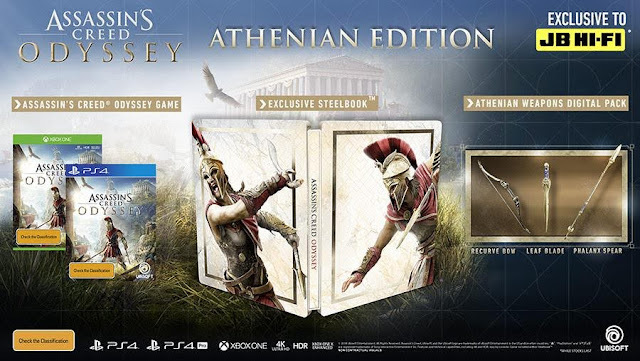 Of course AC Odyssey was going to come out with it's own collectibles but I wasn't expecting this.. 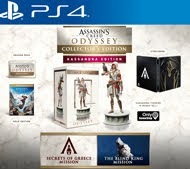 There's more special editions than I expected, more for even the standards past Assassin's Creed games have set. Let's see.. where shall I start? From the top of course! 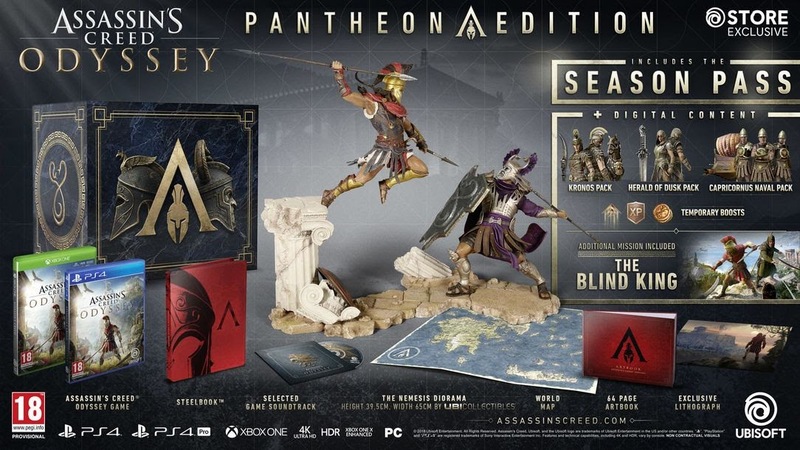 This is exactly the same as the Pantheon Edition but just without the Diorama. 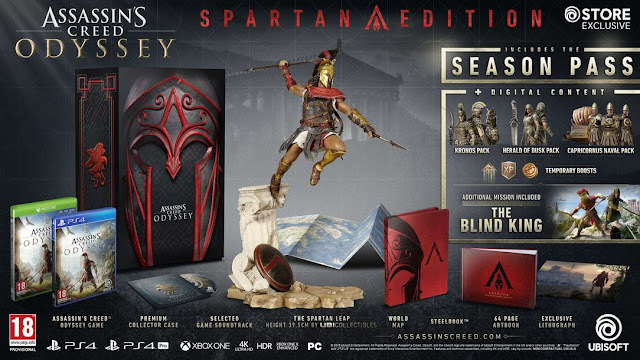 A different Statue, no Season Pass and no Steelbook. 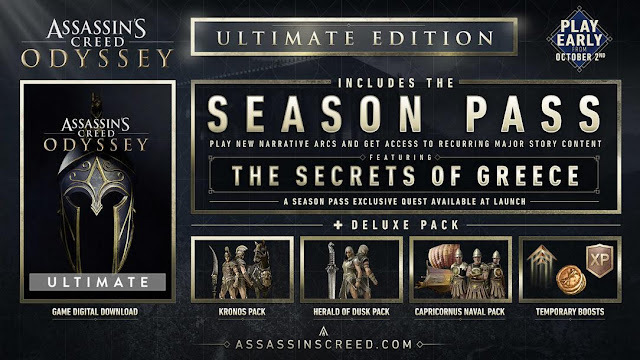 Oh.. so now there is a Ultimate Edition and a Gold Edition?! Oh, yea for the boring fellas..
Edit: 1 more popped up..
Well so I guess I should have kept my big mouth shut.. When I said about Kassandra not getting enough love, I wanted it to be even-ed out.. But I guess they decided to give us 1 more Collector's Edition. 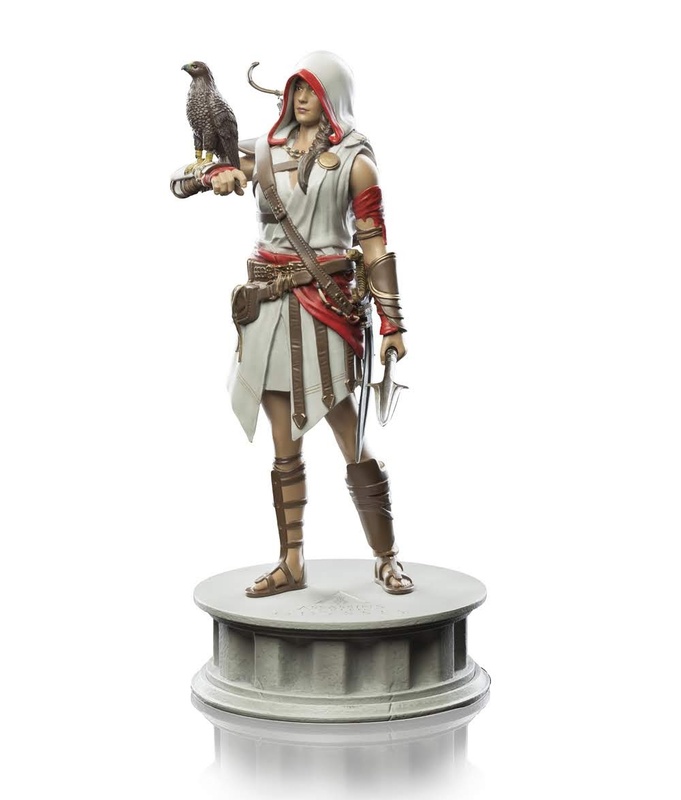 Apologies but that's the best picture that I could find for now.. but the figurine included is shown below. Stated to be standing at 9", I have a feeling that this isn't from the UbiCollectibles range but can't say for sure.. So.. what do you guys think? My head is already spinning from all these different editions. Like I said, this is too many even for Ubisoft's standards.. An Ultimate Edition on top of a Gold Edition? 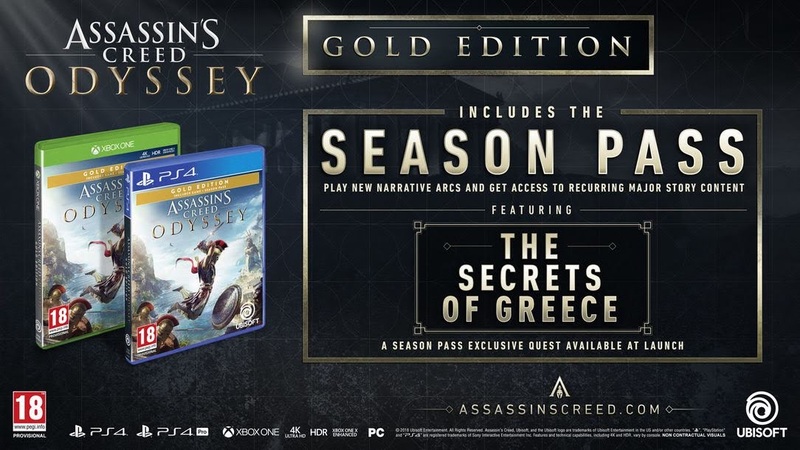 Why is there a need to have early access, even more so for a non-multiplayer game? Some of these are just making me shake my head.. But... there's always a but eh? The collectible statues looks really cool. 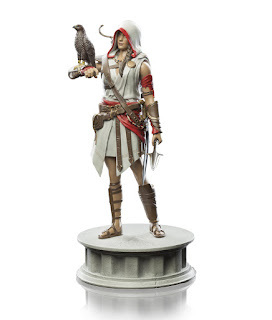 Though, a bit annoyed they went back to the 'same-statue, different-base' format. 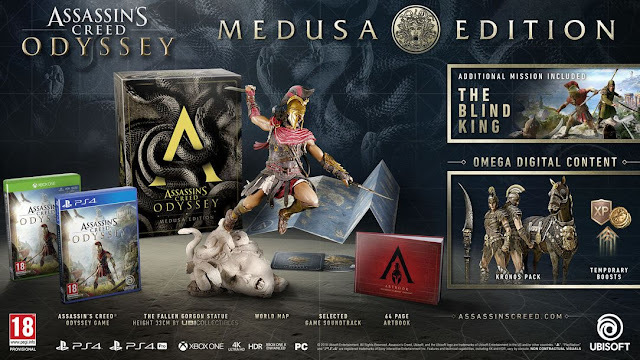 AC Origins did away with that and was hoping we won't see that again..
That said, yes I will be buying these... I'm not going to lie.. but I'll just need to figure out which ones..
Yea, I'm glad for the Kassandra Edition as well. 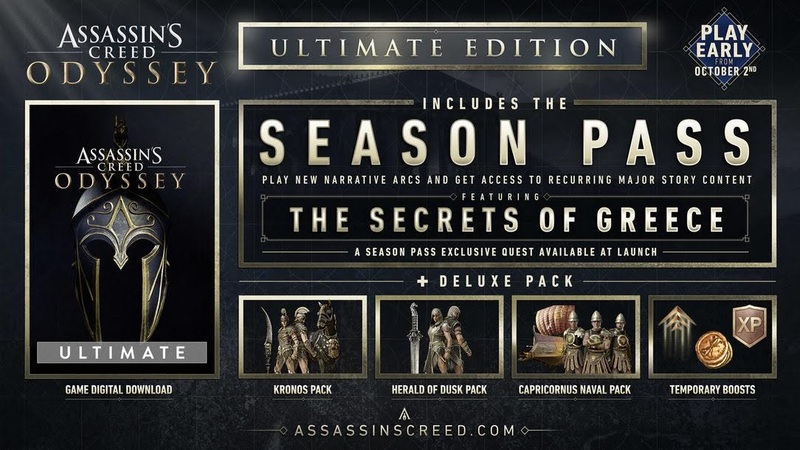 Great to see that she is in the Assassin Garb.. 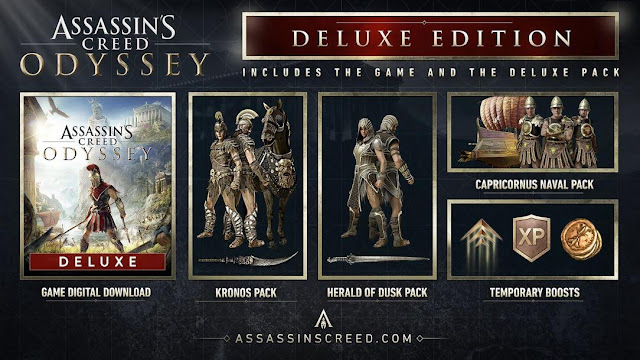 Wish we got a Statue of Alexios with the hood..